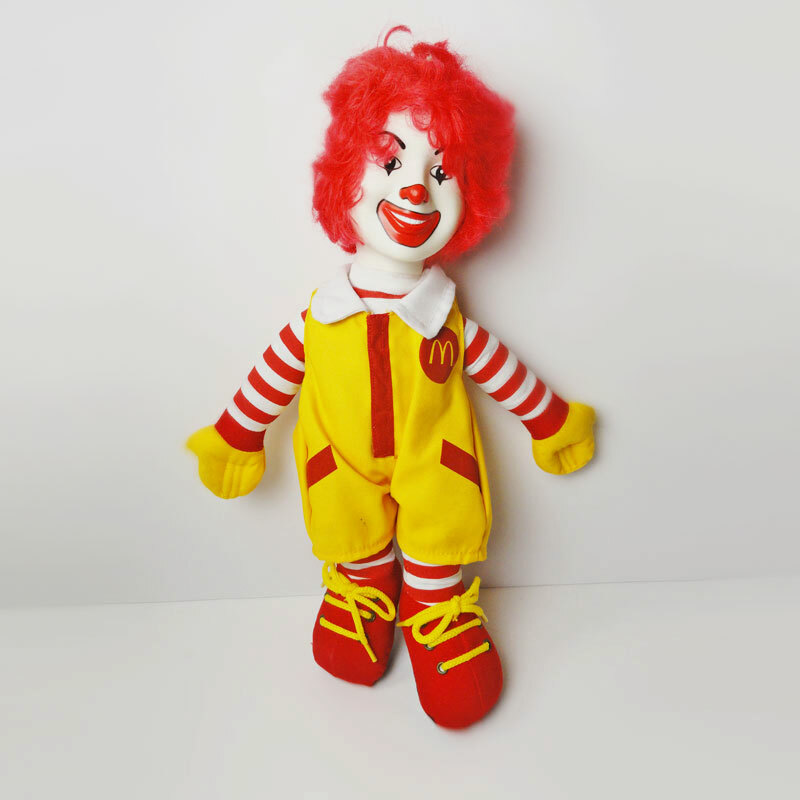 2004 Ronald McDonald McDonalds fast food restaurant collectible doll. Standing 15 inches tall the doll features a removeable jumper, tied shoes and a full head of hair. The stuffed body, pvc head and great graphics complete the look. There is a small double dot, like a pinpoint, on one leg of jumper. A closeup of this can be seen in the label photo. A more realistic image can be seen in the front photo.